Donating is a great way to be part of preserving your ancestors gravestones or your community cemeteries. 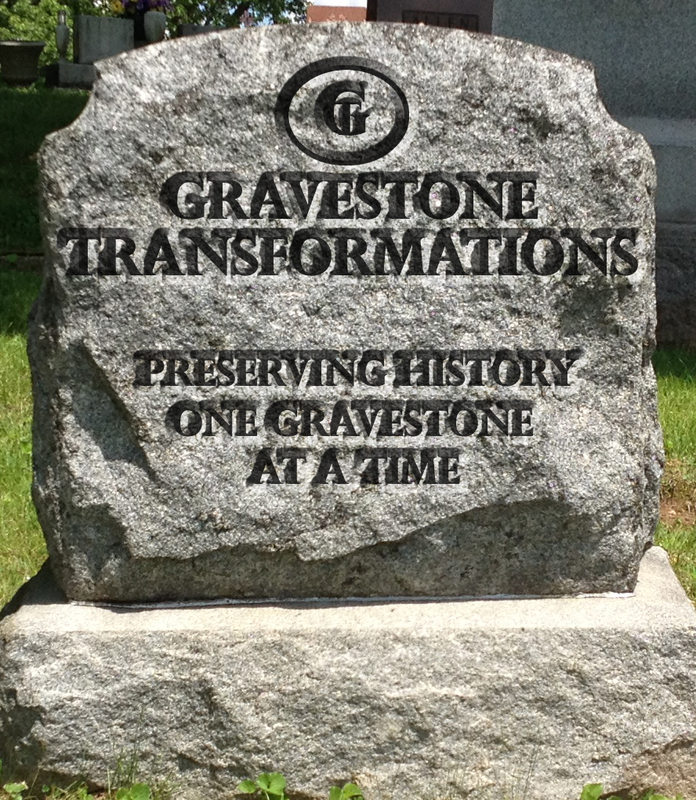 During the year, Gravestone Transformations has a number of cemeteries that they work toward preserving. If you would like to be part of a cemetery conservation and preservation project, please click on which cemetery project you would like your donation to go toward. To choose a cemetery project, click on the box that says, “I would like to designate this donation to a specific fund”. Then choose which cemetery project you’d like to donate to, from the dropdown list. Donations go toward the supplies necessary to repair broken gravestones, reset fallen monuments and clean headstones. If you have an ancestor in one of the cemeteries, please be sure to include their name in the Tribute Gift section for your donation. For families who would like to preserve their ancestor’s monuments as a group effort, you can now make donations individually. When making your donations, please add your ancestor’s name in the Tribute Gift section for your donation. All donations for that ancestor will go toward the conservation and preservation work needed to repair, reset and clean your ancestor’s gravestone. You DO NOT have to have a PayPal account in order to make donations. After you fill out the below form, you’ll be directed to a page that looks like the photo on the right. At the bottom of that page, you’ll see a section that says “Don’t have a PayPal account? Use your credit card or bank account (where available). Continue“. You’ll need to click on the word Continue in that section in order to use a credit card or bank information of your choice to make a donation. If you have a PayPayl account and would like to use it to make a donation, login to your account after you fill out the below form.